Anita Quayle features on new album by Russell Morris. 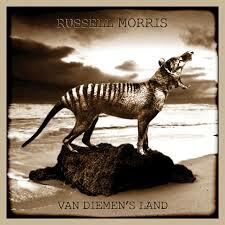 Thrilled to have been part of all time legend (and hell of a nice guy) Russell Morris’ latest creation ‘Van Diemen’s Land’. I was asked to contribute cello on 2 tracks from the album, ‘Loch Ard Gorge’ and ‘Eureka’ also featuring Rob Hirst on drums. If you haven’t bought the album yet, then you simply must! A top album featuring some of Australia’s finest musicians. The Quayle Project collaborate with Local Indi Film Maker to produce a winner! Recently local Melbourne Film maker and Photographer Harrison Moss entered a short film competition and asked The Quayle Project to provide the soundtrack. We were delighted to hear that this was the winning entry. Take a look! The Quayle Project had a great time performing at this year’s Globelight Festival, held at the historical grounds of the Abbotsford Convent, Melbourne. A big loud shout out and thanks to James Tapscott for the photo.